This was the first test case of Australia’s national environmental laws and a landmark in public interest environmental litigation in Australia. The case occurred only months after Australia’s national environmental laws, the Environment Protection and Biodiversity Conservation Act 1999 (Cth) (EPBC Act), commenced operation and showed that the Act provided an important safety-net protecting biodiversity in Australia beyond the protection provided by State laws. 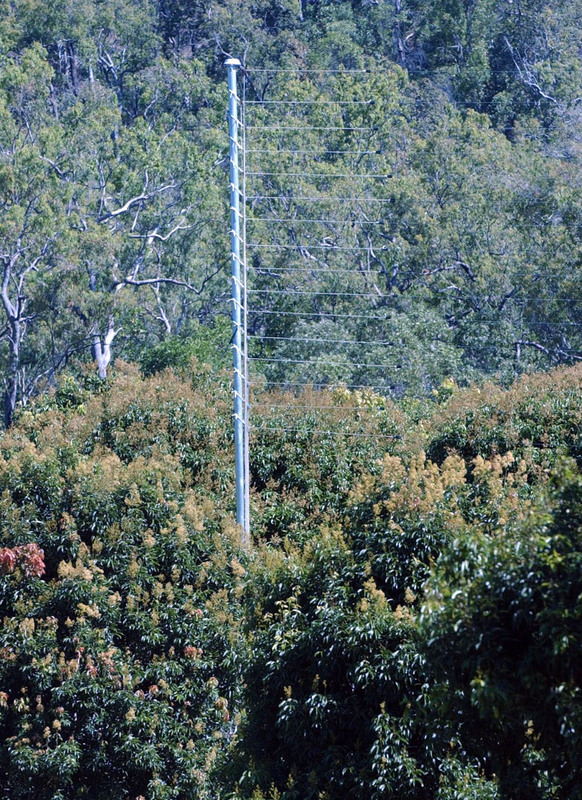 The case involved action to stop the killing of thousands of Spectacled Flying Foxes (Pteropus conspicillatus) on a lychee farm in North Queensland using a large electric grid. It was brought by a conservationist, Dr Carol Booth, after she visited the farm in late 2000 and found extensive evidence of the killing. The following footage was taken by her on the farm and used as evidence in the court proceedings. It shows dead Spectacled Flying Foxes on the ground at base of the electric grids and hanging in the electric grids running down lines of lychee trees. In one section Dr Booth is shown with a live juvenile bat found clinging to its dead mother. When the case was brought, Spectacled Flying Foxes were not listed as a threatened species but because they were endemic to the Wet Tropics World Heritage Area, the killing of large numbers of them triggered the EPBC Act. Dr Booth asked State and Federal regulators to take action to stop the killing of flying foxes but they refused to take action. She then applied to the Federal Court of Australia for an injunction under the EPBC Act. Due to the large numbers of flying foxes being killed, Dr Booth initially sought an interim injunction to immediately halt the killing. That application was unsuccessful. “the Court concluded, on the balance of probabilities, that the number of female Spectacled Flying Foxes killed by the operation of the Grid during the 2000-2001 lychee season fell within the range of 9,900-10,800. Further, the Court accepted expert evidence that the total Australian population of Spectacled Flying Foxes in early November 2000 did not exceed 100,000. On that basis, the Court, again assisted by expert evidence, concluded that the probable impact of the operation of the Grid, if allowed to continue on an annual basis during future lychee seasons, will be to halve the Australian population of Spectacled Flying Foxes in less than five years. Such an impact would be sufficient to render the species endangered within that time frame. The Court was satisfied that the Spectacled Flying Fox contributes to the heritage values of the Wet Tropics World Heritage Area in two ways. First, as part of the record of the mixing of the faunas of the Australian and Asian continental plates following their connection. Secondly, as a species which contributes to the character of the Wet Tropics World Heritage Area as ‘one of the most significant regional ecosystems in the world’ and as an important and significant natural habitat for in-situ conservation. In the circumstances, the Court was satisfied that the action of the respondents in operating the Grid is an action that is likely to have a significant impact on the world heritage values of the Wet Tropics World Heritage Area. After Branson J granted the injunction restraining the operation of the electric grids the farmers referred for the Minister’s approval under the EPBC Act an application to kill “approximately 5,500 Spectacled flying foxes” in the 2002 lychee season. The application was refused. Following the trial the Spectacled Flying Fox species was listed as vulnerable to extinction under the EPBC Act. The Queensland Government also decided it would no longer allow electric grids to be used to kill flying foxes. 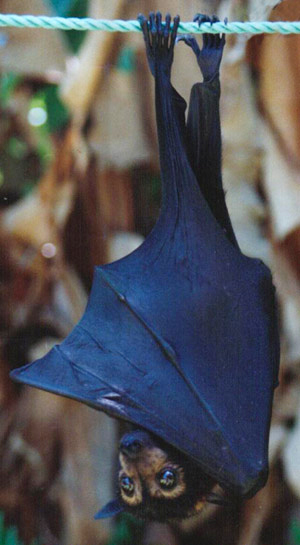 Shooting flying foxes was briefly banned on humanitarian grounds, however, limited shooting was reintroduced in 2012. The ban on electric grids remains. By late-2012, the lychee farm had been scaled back from 10,000 to 2,500 trees and was applying for a permit to shoot flying foxes (based on an article in the Townsville Bulletin newspaper on 24/11/2012). This case was a very significant win for conservation in Australia. On 16 August 2018 the Australian Geographic listed it second in a list of the “Top 5 landmark environmental legal cases in Australia”. It was groundbreaking when it was brought in 2000 as the first major test case of Australia’s (then) new national environmental law, the EPBC Act. It showed the immense value of the wide standing provisions to enforce environmental laws. It directly stopped a major source of mortality and injury to thousands of Spectacled Flying Foxes, thereby reducing a major threat to their conservation status. It led to the Spectacled Flying Fox species being listed as vulnerable to extinction under the EPBC Act. It led to the first refusal of an action under the EPBC Act (the operation of the grids on the farm at the center of the case). It led to electric grids for killing flying foxes being outlawed and major legislative reforms to conservation laws in Queensland (discussed in the next section). Through its direct effect in stopping the electric grids on the farm, and its indirect effects in outlawing electric grids in Queensland and the listing of Spectacled Flying Foxes as vulnerable to extinction under the EPBC Act, it dramatically improved the conservation of Spectacled Flying Foxes, a keystone species for the Wet Tropics World Heritage Area, and possibly avoided the extinction (or functional extinction of the species as a pollinator and seed disperser) with untold benefits for conservation of thousands of rainforest species in that area recognised as having “outstanding universal value”. However, despite the success of this case, the future of the species is far from assured due to ongoing pressures, including climate change. In November 2018, a extreme heat wave killed more than 23,000 Spectacled Flying Foxes, a third of the estimated remaining population. Spurred by the result in this case, the Queensland Government amended the Nature Conservation Act 1992 (Qld) in 2003 by inserting new ss 173A-173O, to allow third parties standing for civil enforcement action in the Planning and Environment (P&E) Court. Such proceedings had a major advantage of having an “own costs” rule so that the threat of adverse costs is avoided at least for the trial. Modelled on (the then) s 478 of the EPBC Act, s 173E of the amended State legislation removed the requirement to give an undertaking as to damages when seeking an interim injunction (in a loss of the effective operation of the Act, s 478 was removed from the EPBC Act in 2006). In both cases Dr Booth took action only after the Queensland Government again refused to act. The “own costs” rule was a major factor in the choice of the P&E Court in favour of the Federal Court in these cases. The P&E Court granted an interim enforcement order restraining the operation of the grids in one case where no undertaking as to damages was offered. These legislative reforms, subsequent litigation and improved conservation of flying foxes show the significance of the Flying Fox Case and the important role of public interest environmental litigation for conservation. Minister’s decision to refuse the proposed action. Bosworth v Booth  FCA 1623. An appeal against that decision was also refused. Chris McGrath, “The Flying Fox Case” (2001) 18 Environmental and Planning Law Journal 540-560. Chris McGrath, “Flying foxes, dams and whales: Using federal environmental laws in the public interest” (2008) 25 Environmental and Planning Law Journal 324-359 at 341-342. 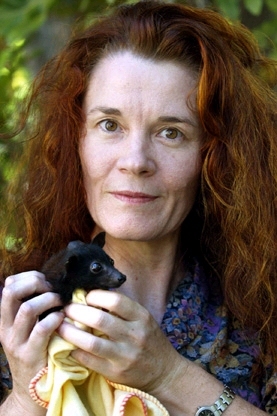 “Stephen”, a juvenile Spectacled Flying Fox found clinging to its dead mother on the Bosworth lychee farm in 2000 (seen in the video to the left). It was removed from the farm, cared for and later released into the wild. Top 5 landmark environmental legal cases in Australia, Australian Geographic, 16 July 2018. Extreme heat wipes out almost one third of Australia’s spectacled flying fox population, ABC News, 19 December 2018. How one heatwave killed ‘a third’ of a bat species in Australia, BBC News, 19 January 2019.